I hear a lot of authors asking for advice on ordering their collections. My first question to them is: Are you ordering an anthology or a collection? Having done both, I believe what is required is very different. Firstly let’s get our terminology straight. By anthology I mean a book of stories written by many different authors. The editor of the anthology conceives, solicits, judges, and orders the pieces into the final product. By collection I’m referring to a single-author collection where the author is putting their own stories into one book. Ordering an anthology is a little bit like taking a 3rd grade class photo: you gotta get everyone in the picture. You might have pieces that are wildly different. You might have four kids wearing green sweaters. Your job is to make everyone look good. Whether you decide to put all the talls in the back or go boy-girl-boy, you are working with a lot of disparate pieces and are ultimately limited by your materials–your job is to try and place them in the most interesting and pleasing order, showcasing each and creating a solid whole. 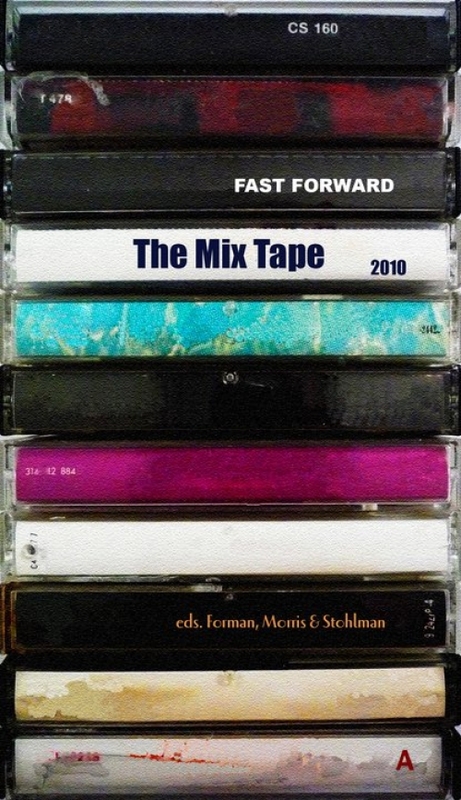 When I edited Fast Forward: The Mix Tape back in 2010, I channeled the 1980s “mixtape” style (and we even had reader flip the book halfway through: Side A, Side B). It’s of course not the only way to order an anthology. You might put your most famous authors first. You might chunk the stories by theme, or style or even size (The Incredible Shrinking Story was organized largest to smallest). But if an anthology is a little bit like a Greatest Hits Collection, then the single author collection is The Concept Album. I’ve edited four anthologies, so I thought I was all set to order my own collection. But right away I realized there was a far more potent and more dangerous power available to me now. Now I didn’t just have artistic license over the order—I had artistic license over the whole thing. Now I had the possibility of manipulating the actual stories as I built the collection—something that would be a cardinal sin in an anthology. And this is why I’ve come to the conclusion that the mixtape or any other approach that works for an anthology might fall short in a single author collection. In a collection you are also manipulating the vibrations of story next to story to create a greater whole. Think about it: Anthology readers have no qualms about reading the stories out of order—in fact, we almost expect them to go straight for the Table of Contents, look for their favorite authors, and start there. But the reader of a collection will often enter the book with story #1, and in this way a collection must behave like a novel, enticing the reader to keep turning pages in a way that an anthology doesn’t have to. I ended up spending nearly as much time ordering my collection as I did writing the pieces themselves, and as I continued to shift and flip my stories, watching for the telltale vibrations to jump the synapses, there was a pliability that had never been available to me when creating an anthology; I now had the creative permission to write the gaps, change the tenses, sync the characters, manipulate the narrators, and otherwise match or contrast the stories as needed. And they began to take on second and third layers of subtext–no longer just individual stories but part of a greater symphony telling an even bigger story that I had never even considered. A friend of mine told me for her collection she threw all her stories on the floor, picked them up, and that was the order. And I must admit that part of me likes the simplicity and divine randomness of that method. But I’d like to propose that the act of ordering a collection is as precious as the act of writing it. Writers who are too quick to “get the ordering over with” in their collections might miss a lot of untapped potential in their work. I believe the work of ordering is just as delicate, just as nuanced. And can be just as revealing. Nancy Stohlman’s books include the forthcoming flash fiction collection The Vixen Scream and Other Bible Stories (forthcoming 2014), the flash novels The Monster Opera (2013) and Searching for Suzi: a flash novel (2009), and three anthologies of flash including Fast Forward: The Mix Tape (2010), which was a finalist for a 2011 Colorado Book Award. She is a founding member of Fast Forward Press, the creator of The F-Bomb Flash Fiction Reading Series in Denver, and her work has been included in The Best of the Web. Check out her upcoming Writing Flash Fiction workshop here! FREE SHIPPING on The Monster Opera–Limited time! It seems to me that it’d be worth time to do so; I have found I am more comfortable when the stories transition more naturally. Absolutely! And I hope you enjoy the process of ordering as much as the process of writing!